Android Analog Clock widget is simple to code and it is used to display clock in analog format. 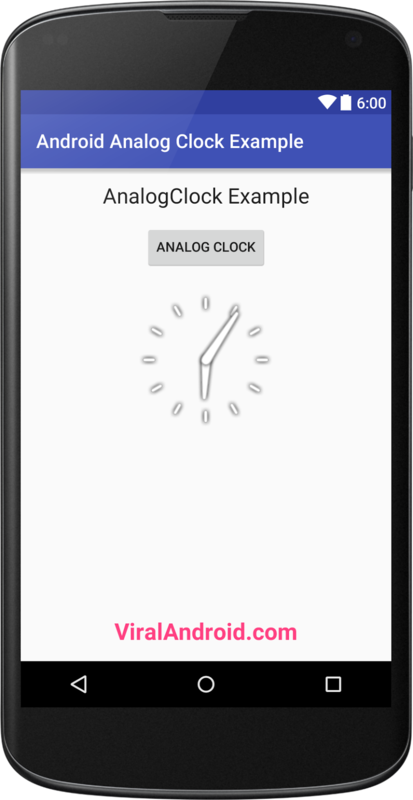 In this tutorial, you will learn to display analog clock in android application. Here, I have used an AnalogClock xml component to display clock. 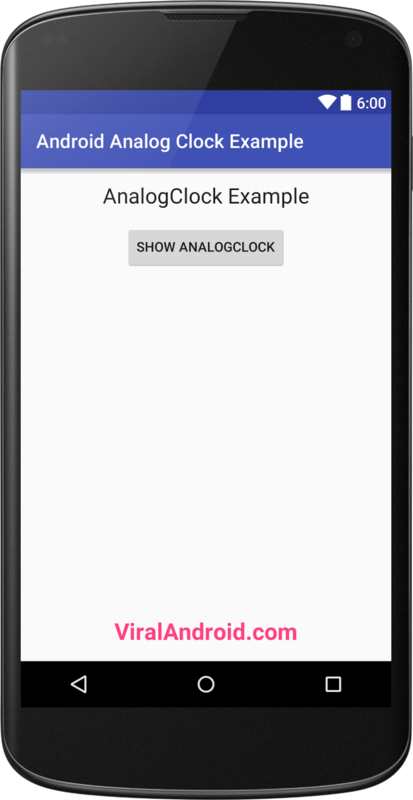 Now, run your analog click example application and click Show AnalogClock button to display clock which will look like output given below.